If Tony Abbott wants to leave a lasting impact – and secure his place in history – he needs to take his inspiration from Australia’s most left-wing prime minister. 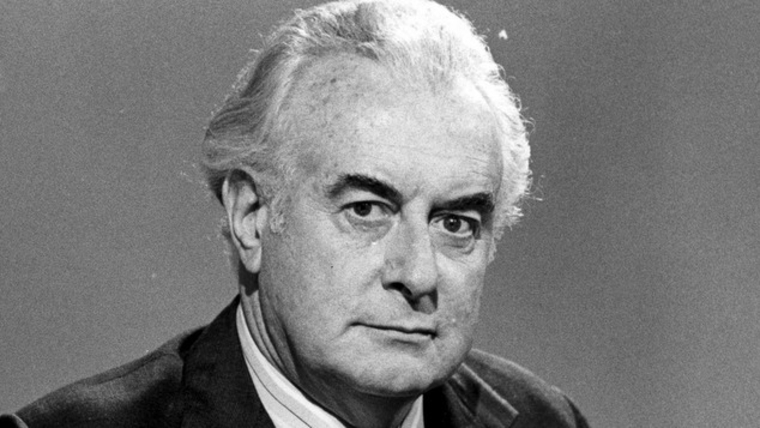 No prime minister changed Australia more than Gough Whitlam. The key is that he did it in less than three years. In a flurry of frantic activity, Whitlam established universal healthcare, effectively nationalised higher education with free tuition, and massively increased public sector salaries. He more than doubled the size of cabinet from 12 ministers to 27. He enacted an ambitious cultural agenda that continues to shape Australia to this day. In just three years, Australia was given a new national anthem, ditched the British honours system, and abolished the death penalty and national service. He was the first Australian prime minister to visit communist China and he granted independence to Papua New Guinea. Whitlam also passed the Racial Discrimination Act. He introduced no-fault divorce. Perhaps his most lasting legacy has been the increase in the size of government he bequeathed to Australia. When Whitlam took office in 1972, government spending as a percentage of GDP was just 19 per cent. When he left office it had soared to almost 24 per cent. Virtually none of Whitlam’s signature reforms were repealed by the Fraser government. The size of the federal government never fell back to what it was before Whitlam. Medicare remains. TheRacial Discrimination Act – rightly described by the Liberal Senator Ivor Greenwood in 1975 as ‘repugnant to the rule of law and to freedom of speech’ – remains. It wasn’t as if this was because they were uncontroversial. The Liberal opposition bitterly fought many of Whitlam’s proposals. And it wasn’t as if the Fraser government lacked a mandate or a majority to repeal them. After the 1975 election, in which he earned a 7.4 per cent two-party preferred swing, Fraser held 91 seats out of 127 in the House of Representatives and a Senate majority. When Mark Steyn visited Australia recently he described political culture as a pendulum. Left-wing governments swing the pendulum to the left. Right of centre governments swing the pendulum to the right. But left-wing governments do so with greater force. The pendulum always pushes further left. And the public’s bias towards the status quo has a habit of making even the most radical policy (like Medicare, or restrictions on freedom of speech) seem normal over time. Despite the many obvious problems of socialised health care, no government now would challenge the foundations of Medicare as the Coalition did before it was implemented. Every single opinion poll says that Tony Abbott will be Australia’s next prime minister. He might not even have to wait until the current term of parliament expires in late 2013. The Gillard government threatens to collapse at any moment. Abbott could well be in the Lodge before Christmas this year. Abbott could also have a Fraser-esque majority after the next election. Even if he doesn’t control the Senate, the new prime minister is likely to have an intimidating mandate from the Australian people. The conditions will suit a reformer: although Australia’s economy has proven remarkably resilient, global events demonstrate how fragile it is. The global financial crisis, far from proving to be a crisis of capitalism, has instead demonstrated the limits of the state. Europe’s bloated and debt-ridden governments provide ample evidence of the dangers of big government. Australia’s ageing population means the generous welfare safety net provided to current generations will be simply unsustainable in the future. As the Intergenerational Report produced by the federal Treasury shows, there were 7.5 workers in the economy for every non-worker aged over 65 in 1970. In 2010 that figure was 5. In 2050 it will be 2.7. Government spending that might have made sense in 1970 would cripple the economy in 2050. Change is inevitable. But if Abbott is going to lead that change he only has a tiny window of opportunity to do so. If he hasn’t changed Australia in his first year as prime minister, he probably never will. Why just one year? Whitlam’s vigour in government came as a shock to Australian politics. The Coalition was adjusting to the opposition benches. Outside of parliament, the potential opponents of Whitlam reforms had yet to get organised. The general goodwill voters offer new governments gives more than enough cover for radical action. But that cover is only temporary. The support of voters drains. Oppositions organise. Scandals accumulate. The clear air for major reform becomes smoggy. Worse, governments acclimatise to being in government. A government is full of energy in its first year. By the second year, even very promising ministers can get lazy. The business of government overtakes. MPs start thinking of the next election. But for the Coalition, the purpose of winning office cannot be merely to attain the status of being ‘in government’. It must be to make Australians freer and more prosperous. From his social democratic perspective, Whitlam understood this point well. Labor in the 1970s knew that it wanted to reshape the country and it began doing so immediately. The time pressure on a new government – if it is to successfully implant its vision – is immense. The vast Commonwealth bureaucracies and the polished and politically-savvy senior public servants have their own agendas, their own list of priorities, and the skill to ensure those priorities become their ministers’ priorities. The recent experience of the state Coalition governments is instructive. Fresh-faced ministers who do not have a fixed idea of what they want to do with their new power are invariably captured by their departments. Take, for instance, the Gillard government’s National Curriculum. Opposing this policy ought to be a matter of faith for state Liberals. 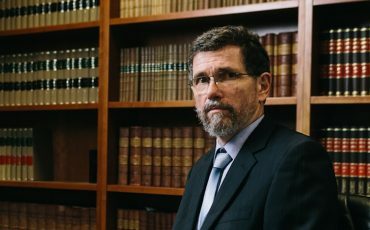 The National Curriculum centralises education power in Canberra, and will push a distinctly left-wing view of the world onto all Australian students. But it has been met with acceptance – even support – by the Coalition’s state education ministers. This is because a single National Curriculum has been an article of faith within the education bureaucracy for decades; an obsession of education unions and academics, who want education to ‘shape’ Australia’s future. (No prize for guessing what that shape might look like.) A small-target election strategy has the unfortunate side-effect of allowing ministerial aspirants to avoid thinking too deeply about major areas in their portfolio. So when, in the first week as minister, they are presented with a list of policy priorities by their department, it is easier to accept what the bureaucracy considers important, rather than what is right. The only way to avoid such departmental capture is to have a clear idea of what to do with government once you have it. Only radical change that shifts the entire political spectrum, like Gough Whitlam did, has any chance of effecting lasting change. Of course, you don’t have to be from the left of politics to leave lasting change on the political spectrum. Both Margaret Thatcher and Ronald Reagan proved conservatives can leave a paradigm-shifting legacy. Though Thatcher’s own party strayed from her strongly free-market philosophy, one of the major reasons the British Labour Party finally removed socialism from their party platform under Tony Blair was because of Margaret Thatcher. Ronald Reagan not only presided over pro-market deregulation and tax cuts during eight years in the White House, but also provided the ideological fuel for the 1994 Republican revolution in the House of Representatives, led by Newt Gingrich, which enacted far-reaching welfare reform. Here we provide a list of 75 policies that would make Australia richer and more free. It’s a deliberately radical list. There’s no way Tony Abbott could implement all of them, or even a majority. But he doesn’t have to implement them all to dramatically change Australia. If he was able to implement just a handful of these recommendations, Abbott would be a transformative figure in Australian political history. He would do more to shift the political spectrum than any prime minister since Whitlam. We do not mean for this list to be exhaustive, and in many ways no list could do justice to the challenges the Abbott government would face. Whitlam changed the political culture. We are still feeling the consequences of that change today. So the policies we suggest adopting, the bureaucracies we suggest abolishing, the laws we suggest revoking should be seen as symptoms, rather than the source, of the problem. Conservative governments have a very narrow idea of what the ‘culture wars’ consists of. The culture of government that threatens our liberty is not just ensconced in the ABC studios, or among a group of well-connected and publicly funded academics. ABC bias is not the only problem. It is the spiralling expansion of bureaucracies and regulators that is the real problem. We should be more concerned about the Australian National Preventive Health Agency – a new Commonwealth bureaucracy dedicated to lobbying other arms of government to introduce Nanny State measures – than about bias at the ABC. 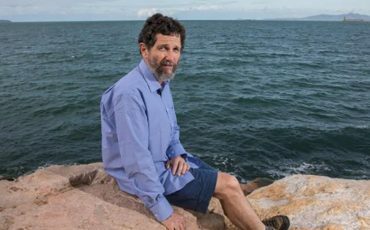 We should be more concerned about the cottage industry of consultancies and grants handed out by the public service to environmental groups. We should be more concerned that senior public servants shape policy more than elected politicians do. And conservative governments should be more concerned than they are at the growth of the state’s interest in every aspect of society. If he wins government, Abbott faces a clear choice. He could simply overturn one or two symbolic Gillard-era policies like the carbon tax, and govern moderately. He would not offend any interest groups. In doing so, he’d probably secure a couple of terms in office for himself and the Liberal Party. But would this be a successful government? We don’t believe so. The remorseless drift to bigger government and less freedom would not halt, and it would resume with vigour when the Coalition eventually loses office. We hope he grasps the opportunity to fundamentally reshape the political culture and stem the assault on individual liberty. This article appeared in the IPA Review.